Technology has indeed come a long way. From the first broadcasted radio signals in the early 1900’s to the podcasts that can now be accessed through your different gadgets and devices, there is no doubt that the pace of technological advancement is very fast. Because of this, the need to keep up with these different technologies is also vital for us to have a good standard of living. One example of these is podcasts. Podcasts are digital audio files that can be found on the internet and are available for download. These are usually discussions regarding different topics and are usually compiled into a series or on per-episode basis. If you want to record your own podcast or want to improve the quality of your podcasts, you might want to consider the best microphones for podcasting. This will not only give you more listeners, but also it will help give you a better reputation. 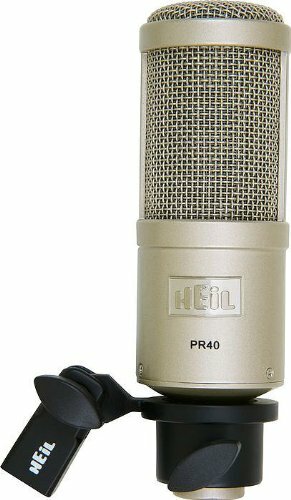 The Heil PR-40 is arguably one of the best podcast microphones in the market. Most professional podcasters recommend using this because of its high-quality build. It is made with a copper wound dynamic that features a neodymium magnet structure. This is what ensures the clarity of the voice that it records. Its body is made from steel that perfectly matches its zinc die-cast bottom ring. With its frequency of 28 Hz to 18 kHz and an output level of -53.9Db @ 1,000 Hz, you will surely experience the highest possible audio quality there is. This is the perfect microphone for professional podcasters. The Audio-Technica AT2020 is the microphone of choice for people who are still new to podcasting. This is because the AT2020 is a very easy-to-use mic. This makes it the perfect microphone for podcast newbies. To use it, you just need to unpack the mic from its setup and directly plug it into your laptop or computer. It even works with any recording software on your PC or Mac. Despite the fact that it is the mic of choice for podcast newbies, its audio quality is still at par with other mics that are for the advanced users, thanks to its low-mass diaphragm that is custom engineered to extend the mic’s frequency response. Its Cardioid polar pattern is also very effective in isolating the sound that it records, making it very clear. 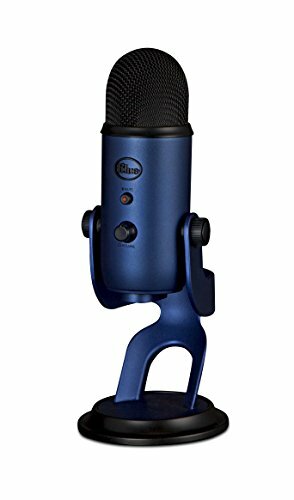 The Blue Microphones Yeti is probably one of the most stylish podcast microphones in the market, thanks to its retro-looking design. However, this mic is not just about the looks as it is also packed with a serious set of features, making it the go-to mic of choice for most podcasters. This microphone has both bidirectional and omni-directional features. What this means is that it is perfect for interview and conference call use. Another thing that makes this really great is the fact that it is very easy to use. This also makes it great for the new podcasters who are just starting out. You can also plug in your headphones to the mic as it features a built-in audio output. The Audio-Technica ATR2100 is a jack-of-all-trades podcaster’s mic. This is because it has two handheld options and comes with both USB and XLR support. What this means is that you can employ it for simple digital recording by using the USB output. On the other hand, you can also use this for live interviews through its XLR output. Furthermore, its extended frequency response system and built-in Cardioid polar pattern ensure that your podcast’s audio quality meets the highest standards. Plus, it has its own built-in headphone jack. The Rode Podcaster is considered to be among the high-end microphones for professional podcasters. Its hefty price is totally reasonable as it is loaded with a number of advanced features that aren’t available in other mics such as an Internal capsule shock mounting that eliminates background noise and a voice isolation feature that ensures every single sound you make is recorded. It also has a 3.5mm stereo headphone output that you can use to control the volume. It’s the mic of choice for advanced and professional podcasters. With that being said, being a legit podcaster requires a few important features in the mic. You need to consider the price of the mic and your level of experience as well. The environment in which you will be recording also plays a major role. Hopefully, these recommended podcast microphones will help you out in your podcasting endeavors. You can rest assured that you will have a bigger audience for your podcasts, thanks to the improved sound quality. ComputerMicZone.com is a participant in the Amazon Services LLC Associates Program, an affiliate advertising program designed to provide a means for sites to earn advertising fees by advertising and linking to Amazon.com. Amazon and the Amazon logo are trademarks of Amazon.com, Inc or its affiliates.